Most people stick to what they know when shopping for beer or wine, cautious to guess wrong and end up with a bottle or 6-pack they don’t like. 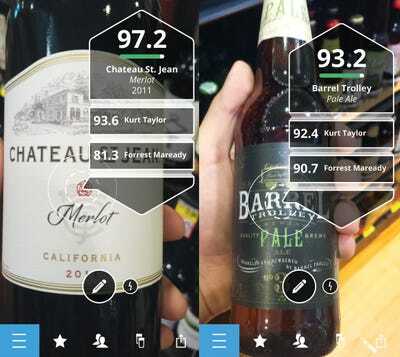 A new app called Next Glass is trying to fix that, and its solution works pretty well. The concept behind Next Glass is simple: You hold your phone up to a beer or wine bottle, and the app scans it and presents you with a score based on your preferences, along with its calorie count and alcohol by volume. The idea is that as you’re shopping, you can whip out your smartphone and find something new to try that you’re sure to love. 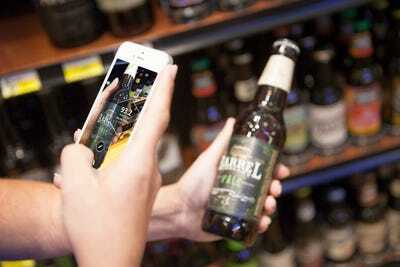 It’s all done with augmented reality, meaning you’re not taking a picture of the bottle. All the calculations are being done on the fly, and the rating and calorie breakdown hover next to the bottle’s image in the app as your hand moves it around. If your friends use Next Glass, you can use the app to help you choose a bottle of wine that everyone likes, with the app displaying your friends’ rating alongside your own. 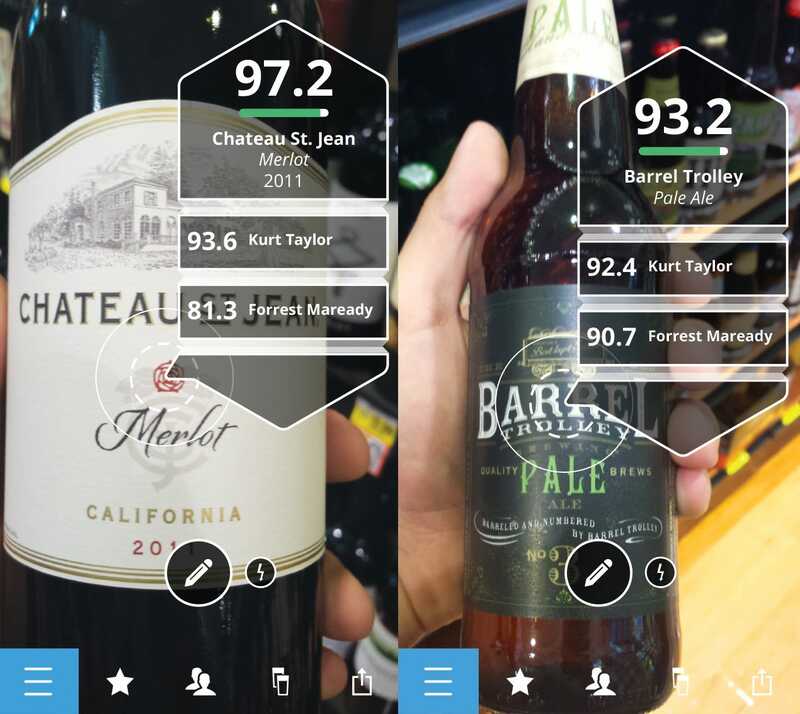 Next Glass gets smarter as you rate more bottles, too. When you open the app for the first time, you’re asked to rate a handful of beer and wine brands. Next Glass only needs five or so ratings to start building a preference profile for you, but it’s actually pretty fun to swipe through the different brands, assigning them a rating of one to five stars. Next Glass has over 23,000 bottles of beer and wine in its inventory, and each one has been tested with a mass spectrometer so that it’s chemical makeup can go into the Next Glass recommendation system. If you’re not at the store, you can browse through brands or search for a specific type and you’ll see your rating right there. So how does it work in the wild? In practice, Next Glass was a lot of fun to use. While it didn’t always recognise every bottle at the 7-Eleven down the street, it recognised 9 out of the 10 beer bottles I scanned at the Duane Reade, along with every brand in the office fridge. 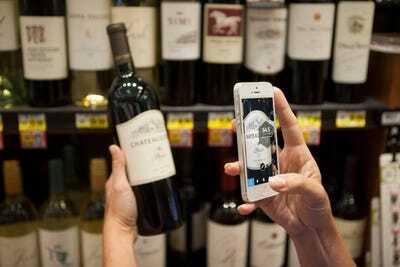 It’s not going to recognise every bottle at your local winery or your local bartender’s private collection, but that’s not what Next Glass is for, it’s aimed more at the average person shopping at their local grocery store. Once you find a bottle you like, Next Glass makes it easy to share it on your favourite social network, but I think most people will have fun just using the app to discover new drinks in a fun way. To try out Next Glass for yourself, you can download it for Android here and for iOS right there, or watch the launch video of the app in action below.